As you may know, the growth of renewable energy in Germany has been nothing short of phenomenal in recent years, thanks to the heavily industrialized nation’s concerted effort to transition to a sustainable economy. Germany’s Energiewende (energy transition) is on track to achieve a target of 45% renewable energy by 2025. It comes as no surprise then, that one unnamed chief financial officer of a coal company has been reported as describing this situation as already starting to result in a “trail of blood” on balance sheets. New records for renewable energy generation are being broken regularly in Germany these days, and the nation is experiencing somewhat of an energy glut. As well as the growth in renewables, Sharif Sakr explains that some new coal plants, that were commissioned back when electricity was in shorter supply, have opened. 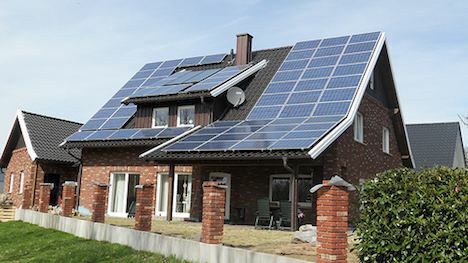 However, on particularly sunny and windy days, Germany’s numerous solar panels and wind turbines contribute a lot of electricity to the grid (74% of national demand is the current record), and that causes an oversupply situation. This excess in electricity generation causes power prices to go down, and coal-fired power plants are forced to shorten their operating hours. Because of Energiewende policy, renewable energy generators have preferential access to supply the power grid when there is an overall excess. Coal-fired power plants are forced to power down. The margin on sales of fossil fuel-based electricity has dropped from 15% 10 years ago, to about 5% today. It’s not difficult to see that the situation could deteriorate further for fossil fuels-based plants. The outlook for coal does not look good in Germany, as renewable energy starts to take more and more of the load over time. It also stands to reason that this situation could be repeated in many other countries in coming years, as renewable energy, especially solar, becomes cheaper and hits the mainstream.